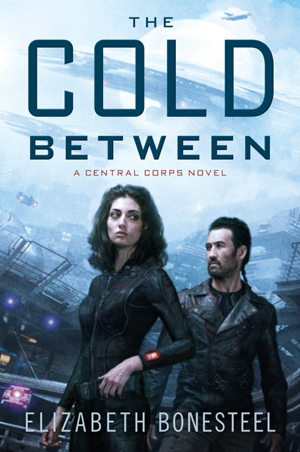 By Carl Slaughter: In March, debut author Elizabeth Bonesteel came out with The Cold Between, first in her Central Corps series. It’s part military, part space opera, part thriller, part mystery, part romance. 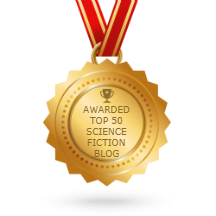 Harper Voyager compared it to Elizabeth Moon, Linnea Sinclair, and Lois McMaster Bujold. Library Journal said, “Fans of sf romance will cheer to have a new author entering the genre. While this is setting the stage for a longer arc, Bonesteel’s novel more than satisfies with Elena and Trey’s story. In November, Bonesteel came out with Remnants of Trust. When her crewmate, Danny, is murdered on the colony of Volhynia, Central Corps chief engineer Commander Elena Shaw is shocked to learn the main suspect is her lover, Treiko Zajec. She knows Trey is innocent – he was with her when Danny was killed. So who is the real killer, and why are the cops framing an innocent man? Retracing Danny’s last hours, they discover that his death may be tied to a mystery from the past: the explosion of a Central Corps starship at a wormhole near Volhynia. For 25 years the Central Gov has been lying about the tragedy, even willing to go to war with the outlaw PSI to protect their secrets. With the authorities closing in, Elena and Trey head to the wormhole, certain they’ll find answers on the other side. 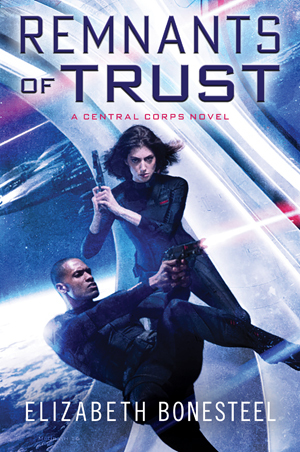 But the truth that awaits them is far more terrifying than they ever imagined…a conspiracy deep within Central Gov that threatens all of human civilization throughout the inhabited reaches of the galaxy – and beyond. Six weeks ago Commander Elena Shaw and Captain Greg Foster were court-martialed for their role in an event Central Gov denies ever happened. Yet instead of dishonorable discharges or time in a military prison, Shaw and Foster are now back together on Galileo. As punishment they’ve been assigned to patrol the nearly empty space of the Third Sector. But their mundane mission quickly turns treacherous when the Galileo picks up a distress call: Exeter, a sister ship, is under attack from raiders. A PSI generation ship – the same one that recently broke off negotiations with Foster – is also in the sector and joins in the desperate battle that leaves 97 of Exeter’s crew dead. An investigation of the disaster points to sabotage. And Exeter is only the beginning. When the PSI ship and Galileo suffer their own “accidents”, it becomes clear that someone is willing to set off a war in the Third Sector to keep their secrets, and the clues point to the highest echelons of power and deep into Shaw’s past.